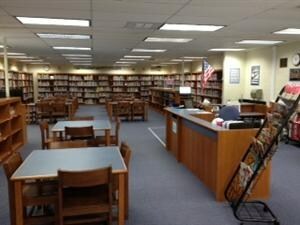 Welcome to the Rudy Carpenter Library! Our library provides excellent service. Classes may use it on an as-needed basis and students may check out two books at a time. There are computers with Internet access available that may be used for research, access e-books, check Genesis, data entry, or school based programs. Ms. Duarte is our librarian. Always ready to help! Before School: 7:30 a.m.-8:15 a.m. Need some fun ideas for summer reading? Click here! may be restricted from year-end activities until these fees have been cleared. Failure to follow the rules may result in loss of library privileges. "Reading gives us someplace to go when we have to stay where we are."